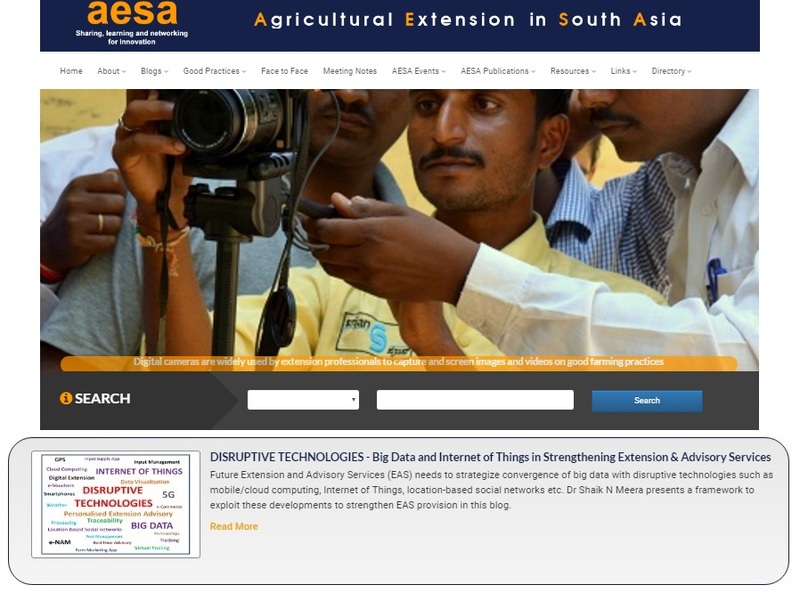 A portal on Agricultural Extension in South Asia (AESA) welcomes all of you to share and contribute relevant essays and links to enable exchange of new knowledge and experiences in extension and advisory services (EAS) provision. AESA team hopes that AESA portal would be useful not only to share knowledge on different aspects related to EAS practice and policy within the region but also to link all of us to new knowledge on EAS generated elsewhere. "80% of South Asia's poor live in rural areas. Most depend on agriculture for their livelihood. Agricultural and rural development is key to eradicating poverty and creating conditions for sustainable and equitable growth. An effective and efficient extension and advisory service (EAS) that offers a much broader support to rural producers (beyond knowledge on new technologies) is critical for agricultural development and poverty reduction. AESA was formed in response to the demand for a network of those interested in EAS ... as much needs to be done in terms of organising, reforming and strengthening extension services considering the rapidly evolving agricultural and rural landscape", - AESA. Vision is: Improving food and nutrition security through efficient and effective EAS. Mission is: Sharing, learning and networking for building effective and efficient EAS. such as mobile/cloud computing, IoT,location-based social networks - to strengthen EAS provision. IS DOING THE RIGHT THING WRONG? 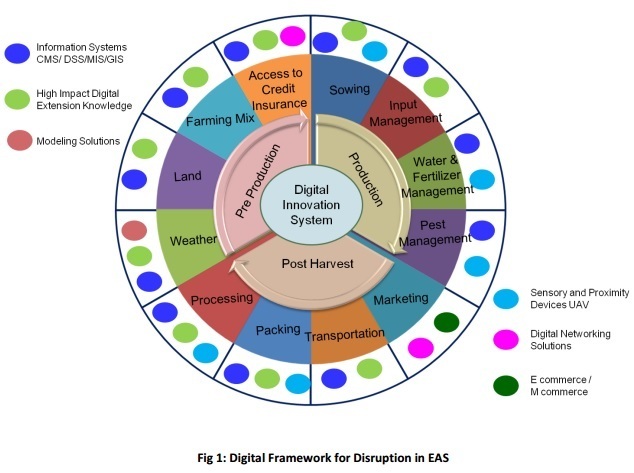 "Whether one likes it or not, disruptions are likely to happen (or already happening) in the extension processes, activities and methods ... A series of such disruptive extension processes will surely transform the very nature of EAS. Until then keep thinking and exploring what best could be done by us".